influenced throughout the heavy production period of the SENGOKU. This is the reason for the reference, "ECHIZEN-SEKI" or �"KAGA-SEKI." shallow curve and low MUNE. O-ITAME HADA with JI-NIE. Light gray, clear steel. HAMON - SUGUHA, SUGU KO-MIDARE, MIDARE in NIE. BOSHI - SUGU and MIDARE are found. NIE. YOKO or with HIRA SUJIKAI. KANEMAKI(3) KAN-EI (f: GOROUEMON KANEMAKI): MURA SEIZO. KO-ITAME HADA has MASAME. CHGU-SUGUHA with ASHI-IRI. NOTARE BA with KUICHIGAI BA and NIJUBA. KANEMAKI(4) KAN-BUN 1661: GOROUEMON. KANAZAWA JU. KANEMAKI(5) KYO-HO 1716: GOROUEMON in KANAZAWA. from KAN-EI through SHO-O 1652 times. KANEHARU(3) KAN-BUN (f: SOBE KANEHARU): TANnoMIYA Group. GUNOME-MIDARE BA. Mid has SUNAGASHI. NOTARE-KOMI BOSHI with TOGARI turn. WAZAMONO. roots to HIDEKATSU in EI-ROKU - TEN-SHO 1573. KANENORI(2) GEN-ROKU (f: SAKUBE KANENORI): SUKENOJO. KANEHARU(4) (f: KANENORI): HACHIBE. KANAZAWA. KANETOMO KAN-BUN: TSUJIMURA Group. GUNOME-MIDARE BA. 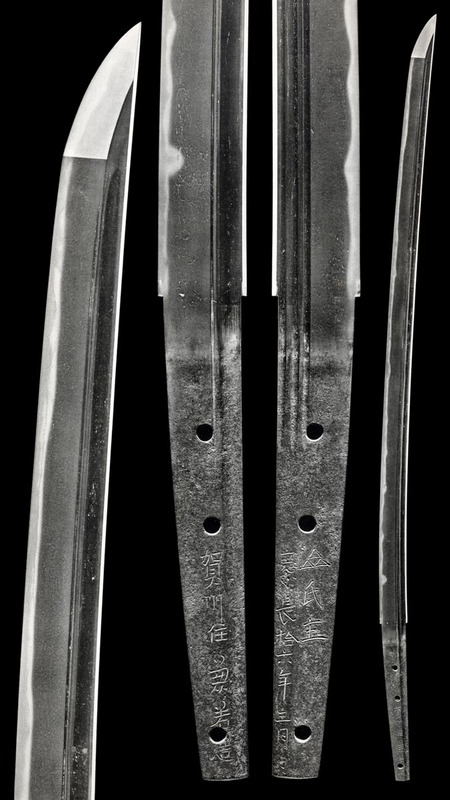 Namboku style Shinogi-Tsukuri, Ihori-Mune, little curve to elongated Chu-Kissaki. Bohi ni Subi omote, Mittsu Hi Ura. Running Ko-Itame becomes rouigher in the Moto. Ko-Notare Gunome-Midare Togari Ba and Ashi in tight Nioi-Guchi with Ko-Nie. Sunagashi and long Kinsuji run the Habuchi. Midare-Komi Komaru omote Boshi. Ura is Notare-Komi with Togari turn. Suriage Kirijiri Nakago has three Mekugi-ana. Shinogi-Tsukuri, Mitsu-Mune, little curve, elongated Chu-Kissaki. 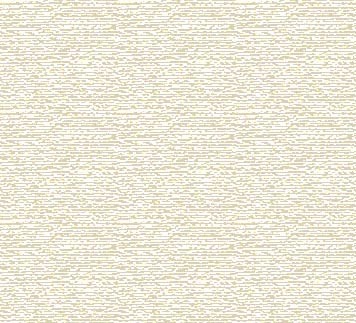 Upper is a knit Ko-Itame Mokume mix. There is Chikei. Itame-Mokume Hada is more pronounced in the lower. Clear Nioi and Ko-Nie where Omote has Notare with Gunome-Midare Togari Ba and Tobi-Yaki in the mid. Ura is Gunome-Midare with Yahazu Arrow-points and Tobi-Yaki. Midare-Komi Boshi with Togari Kaeri. Ubu Kirijiri Nakago has one Mekugi-ana with fill. Kanewaka changes his name with his new title. 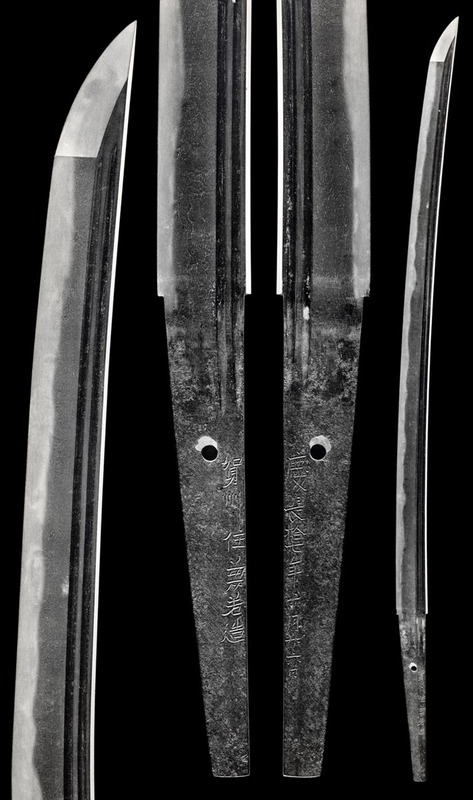 Shinogi-Tsukuri, Ihori-Mune, gentle curve to Chu-Kissaki. Itame with Masame runs There is Ara Ji-Nie. Clear Nioi-Fukashi and Ko-Nie Ko-Notare of Gunome-Midare Togari Ba . Sunagashi, Kinsuji and Mura-Nie. Chu-Sugu Boshi with Togari Kaeri and Hakikake. Koshi-Hi-ni-Subi on Omote and Futatsu Hi, Ura. 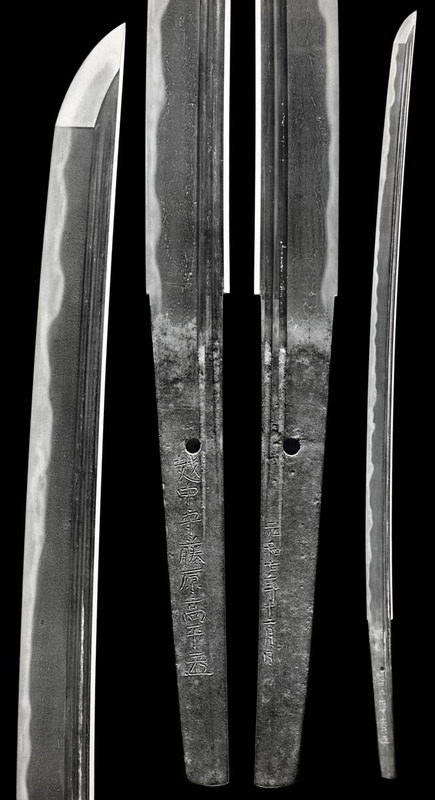 Asaki-Notare Ko-Gunome-Midare with Ko-Ashi in Nioi-Fukashi and Ko-Nie. There is Sunagashi and Kinsuji running. Defined Ko-Itame runs through the Ji, Masame in the Shinogi-Ji. Gunome Choji and spire Togari in moderately deep Nioi and Ko-nie with much Tobi-yaki and ghost Utsuri. Figures become Saka and Saka-Ashi falls from troughs. Boshi is Kaen and Hakikake of excellent Nie. Gunome Choji-Midare Ba with Tobi-Yaki and sweeping Sunagashi.